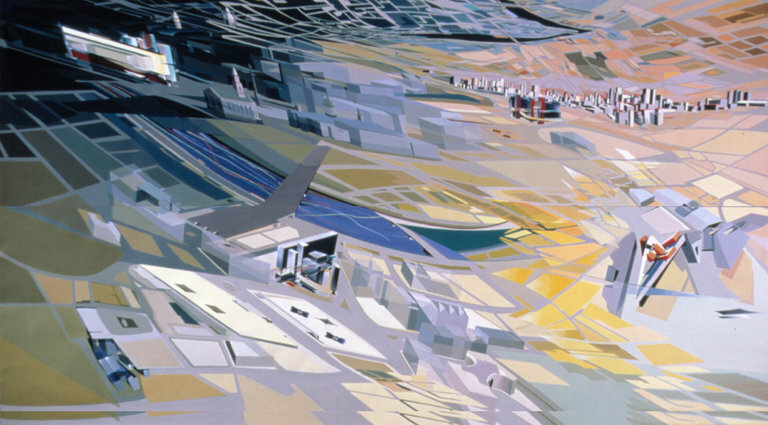 An 1989 painting by Ms. Hadid of Hafenstrasse, a street in Hamburg, Germany. 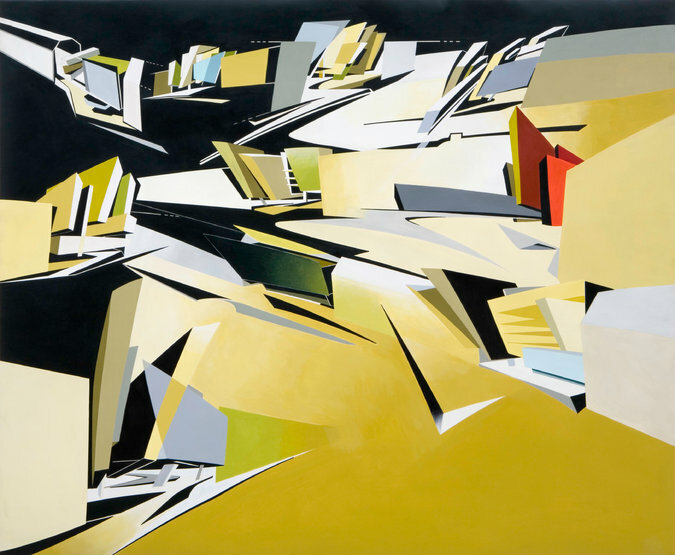 CreditZaha Hadid ArchitectsAll of Ms. Hadid’s completed buildings will be represented in some way at the Venice show, through Ms. Hadid’s own paintings, as well as models in paper relief and 3-D printing, line drawings, photographs, and videos.Inside the 16th-century Palazzo Franchetti, the first thing that visitors will see is a forest of undulating towers. The models, created by 3-D printing and presented as an example of the practice’s working methods, were studies for a 2010 competition (entered but not won) for the Central Business District in Beijing.The first room will illustrate Ms. Hadid’s early designs, with paper relief models in the middle and walls covered by her large architectural paintings. Many of these were for projects that were never built, such as the Peak hilltop leisure complex in Hong Kong (1982-83) or the Cardiff Bay Opera House (1994-96).One room will be devoted to her furniture, jewelry and exhibition designs (such as a 2008 mobile art pavilion for Chanel). Another will feature filmed interviews with Ms. Hadid.Three career milestones will be presented in a dedicated room: the Vitra fire station (1990-93) in Weil am Rhein, Germany, Ms. Hadid’s first built project; the Rosenthal Center for Contemporary Art in Cincinnati (1997-2003), which helped Ms. Hadid win the Pritzker Architecture Prize in 2004; and the Maxxi National Museum of 21st-Century Arts in Rome (1998-2009), an illustration of how the practice evolved.Woody Yao, a co-curator of the exhibit with Ms. Janssens and one of Ms. Hadid’s longest-serving architects, recalled accompanying her to the Architecture Biennale in other years.“Usually when we went to Venice, we would walk around with Zaha, and she was an exhibition, basically,” he said. “Every two steps, you had to stop and talk to people. Everyone was taking pictures with her.”It will be a very different Biennale this year, Mr. Yao added.